LOCAL QUALITY LIFESTYLE BUSINESSES SIGN UP TO WE LOVE CHESHIRE! And delighted that Carden Park Luxury Hotel, Golf Resort & Spa signed up yesterday, thank you to the delightful Gaynor Black for that! 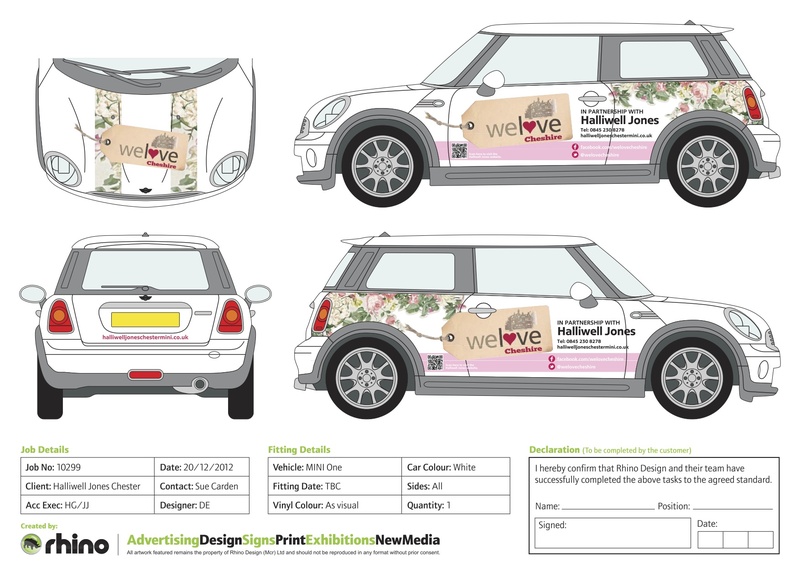 Staying on the subject of cars, I am more than delighted to be working with Halliwell Jones MINI Chester who have been very kind and sponsored a MNI ONE with a gorgeous We Love Cheshire livery… so a massive thank you to Sue Carden for making this happen. Make sure you look out for it out and about in CHESHIRE! There are a number of other businesses who have signed up to We Love Cheshire, we will be announcing who they are over the next few blogs so please keep on reading! If you would like to advertise your business, please email me izzy@cheshirehospitality.co.uk for the WLC media pack. This entry was posted in Food & Drink Chester & Cheshire, We Love Cheshire and tagged Cheshire, Cheshire Food & Drink, Chester, Lifestyle, Magazine, Quality, social-media. Bookmark the permalink. ← Now CHESHIRE has its own Hero that participates in the world famous AFRICA RACE to DAKAR.